Marine Dad Surprises his Kids (Military Times) Saint Stephen’s Episcopal School students Peytan and Tillman Caskey knew their dad was coming home from Afghanistan on Friday. But they did not expect him to show up at school. PAVE program helps disabled Inland Empire veterans find jobs (The Sun) Knowing that college was not what he wanted to do in his 20s, Mike Metal joined the Navy and trained to fight pirates in the dangerous waters off the east coast of Africa. Best for Vets: Business Schools 2014 (Military Times) As service members and veterans have become bigger priorities for schools, some are starting to offer MBA degrees tailored to the military. 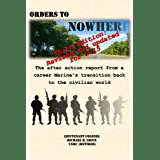 Welcome efforts to connect veterans to jobs (The News Tribune) With the military anticipating serious downsizing in coming years, organizations like Rally Point 6 have their work cut out for them. G.I. Jobs Releases the 2014 Top 20 Hot Jobs for Veterans (IT Business Net) G.I. Jobs, the premier media resource for transitioning service members, today released its second annual list of the Top 20 Hot Jobs For Veterans. New York National Guard Hosts Veterans Job Fair At Lexington Avenue Armory on March 27 (BlackAnthem) The New York National Guard will host a U.S. Chamber of Commerce Hiring our Heroes Job Fair on Thursday, March 27 at the Lexington Avenue Armory. Air Force details fleet cuts, states hardest hit (Air Force Times) The Air Force on Monday announced specifics on planned cuts to its fleet over the next five years, including 50 F-15Cs heading to retirement and multiple MQ-1 Predator units upgrading to the newer Reaper drone. How Big Will the US Army Be in 2019? Not Even the Army Knows (Defense News) Just as the budgeting office of the US Army was preparing to submit its fiscal 2015 budget, last-minute word from the White House turned everything on its head. How the Army plans to thin the ranks (Army Times) If you’ve been hoping for a chance to voluntarily end your contract and collect a payout, don’t hold your breath. After a conviction, help for incarcerated veterans (Baltimore Sun) The Iraq War veteran wants to get his paralegal certificate. Rep. Tom Cotton: Hire a Veteran (NewsMax) Employers should hire veterans because of the skills they gain from their military service, said Senate hopeful Rep. Tom Cotton, a former U.S. Army captain. Military veterans especially unhappy at federal agencies (The Washington Post) The federal government’s annual employee-satisfaction survey shows that veterans’ perceptions of workplace fairness are more negative than their non-veteran counterparts, and they’re more likely to feel disengaged from their supervisors, according to a Federal News Radio article that explores some of the causes of those trends. Many veterans who are prescribed opioids become chronic abusers (Examiner) The states of war in Iraq and Afghanistan in this era has lead to high rates of prescribing of opioids for U.S. military veterans. Navajo military veterans struggle with housing (Los Angeles Times) In World War II he served as a Navajo code talker, one of the Marines who became legendary by using their native tongue to transmit messages the enemy could not decipher. Years later, to express its appreciation, the Navajo Nation built Tom Jones Jr. a house. Are Marine departures a taste of things to come in N.C.? (FayObserver) As state leaders begin to build a virtual wall around our military against a possible future base realignment and closure, some Marines are already slipping through. Military retiree tapped as new DoDEA director (Military Times) A retired Amy colonel with 12 years of experience in education administration in public schools has been named the new director of the Department of Defense Education Activity. VA budget tackles two major goals (Daily World) The U.S. Department of Veterans Affairs has proposed $68.4 billion in discretionary spending, largely for health care, with goals to eliminate years of medical claims backlog and a focus on reducing homelessness among veterans. Veteran’s Affairs office will soon have new home (WAFB) Tony Coleman and his coworkers at the Department of Louisiana Veteran’s Affairs provided a tour of their service office on North Boulevard Monday. Veterans Affairs office in Baton Rouge getting evicted after complaining about building (The Times-Picayune) After officials with the Louisiana Department of Veterans Affairs in Baton Rouge publicly complained about the condition of the building the city-parish is leasing for them, their landlord now plans to evict them. Petition started to keep 800 VA jobs from moving out of downtown St. Louis (KMOV) St. Louis Board of Alderman President Lewis Reed is fighting to keep hundreds of Veterans Affairs from moving to St. Louis County. Bill would speed progress on claims backlog (Military Times) The backlog of benefits claims pending with the Veterans Affairs Department has dropped by almost half from this time last year, when it made headlines as a national embarrassment and an insult to the service of veterans. Immigration change gives legal status to undocumented relatives of US military (Fox News) Immigration reform may be stalled in Congress, but a new Obama administration policy is extending legal status and military benefits to thousands of illegal immigrants who are the spouses, parents and children of American military members. “Homefront Connections” can provide valuable information for area veterans (WCF Courier) Veterans, mark down March 19 on your calendar. Military Update: Commissaries to be run as a business, not a benefit (NJ.com) Behind the plan to slash taxpayer support of commissaries is a concept Defense Secretary Chuck Hagel and his senior advisors have embraced: That base grocery stores should operate as a business and not a benefit. Proposed military retirement overhaul would reduce overall compensation (Fierce Government) The Defense Department outlined two possible ways to revamp the military retirement benefits system, both of which would offer more upfront benefits to military members while reducing overall compensation after retirement. Social Security Q&A: Military retirement; IRA withdrawals (Providence Journal) Q: Will my military retirement affect my Social Security benefits?